What else do you do when you are child-free on a beautiful Friday morning? Go on a Fridate, of course! 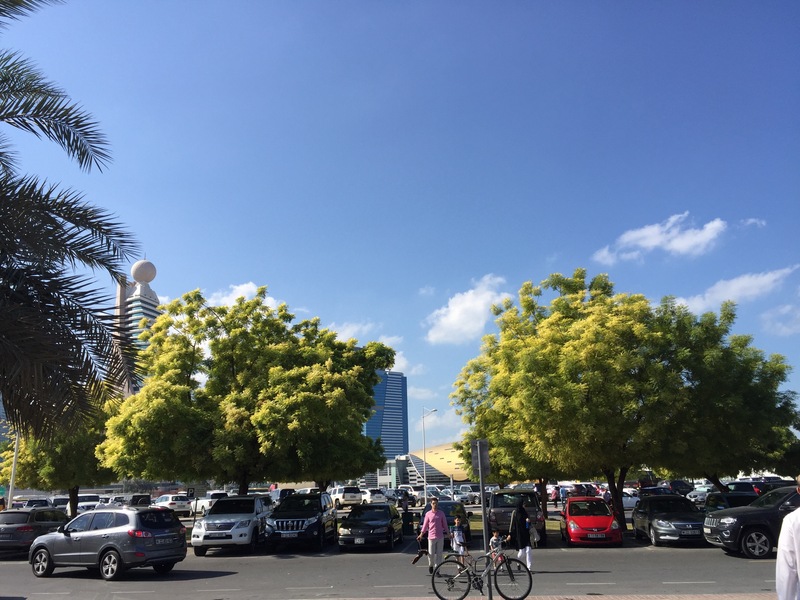 Bernie and I went out to Zabeel Park today for Ripe Market, one of the many farmer’s market type that pops up during the cooler months. 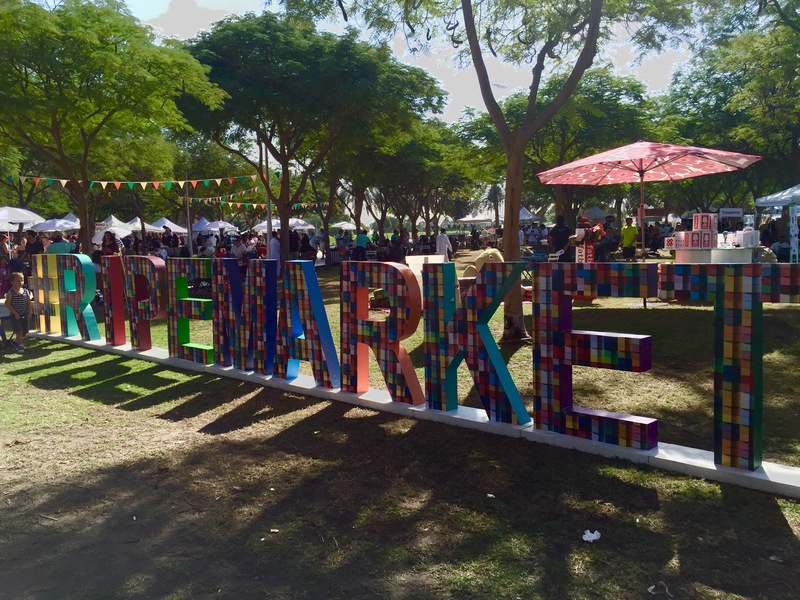 Ripe Market has been going on for a few years and they have other events in Abu Dhabi and Sharjah too. They even have an evening market in Al Barsha Pond Park. We made a beeline for the Raw Coffee truck and were both amazed at the never-changing quality of their coffee. Kim was at the till too! She is one of the owners of Raw Coffee and it’s great to see her being so involved. Since we didn’t get to have breakfast at home, we walked around the stalls to decide what to eat. It was so difficult to narrow it down to just one choice! So many good food on offer, so little time. 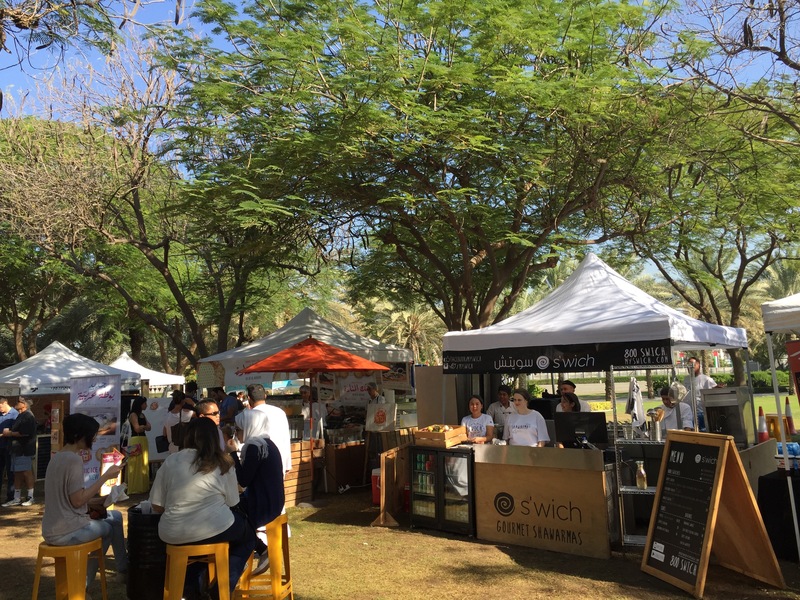 Essential, Book Munch, S’wich, Moti Roti, Fraiche, Taqado…and so many more food outlets offering amazing food. 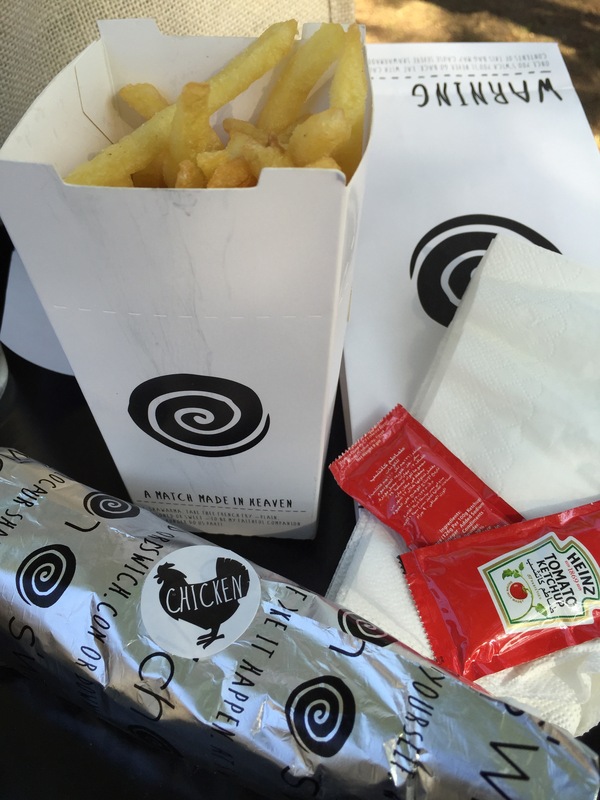 In the end, we decided on a chicken wrap with fries from S’wich and mini pancakes from Holland House to go with our gorgeous flat whites from Raw. It was a beautiful day, a little windy but that was welcome. It does get really hot if you stand under the sun for too long. Thank goodnews for the trees in the park! We even found an area with table tennis equipment, free for anyone to use, so we played for a while. 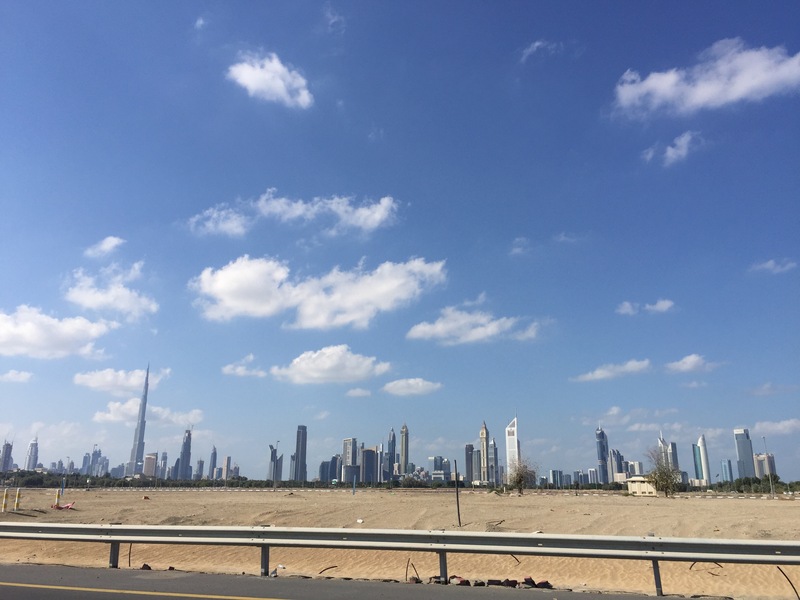 Days like these are one of the best things about living in Dubai. The sun still shines strong but as long as you slap on an SPF50, you’re good to go. It’s also a waste of a beautiful day to stay indoors and not bask in the glorious winter sun. I love these type of markets just as much. 🙂 Our weather is just not so very hot, although pretty much summer time here now. Its great to see your outdoor market, and the food looks amazing. No wonder you could not decide. Good food is always appreciated. Truth be told, a lot of it is hype. Some goods are overpriced, but the organic veggies are the real draw, and the atmosphere I suppose. It’s like a little fiesta every weekend!